This review study finds electroconvulsive therapy (ECT) safe and effective for refractory adolescent psychiatric illness. For patients to benefit from ECT, however, psychiatrists must keep this therapy on the list of potential interventions. Caregivers for patients with advanced cancer can experience higher levels of energy and activity, adaptation, and spiritual well-being when administered a psychosocial intervention designed to improve quality of life (QOL), a study finds. 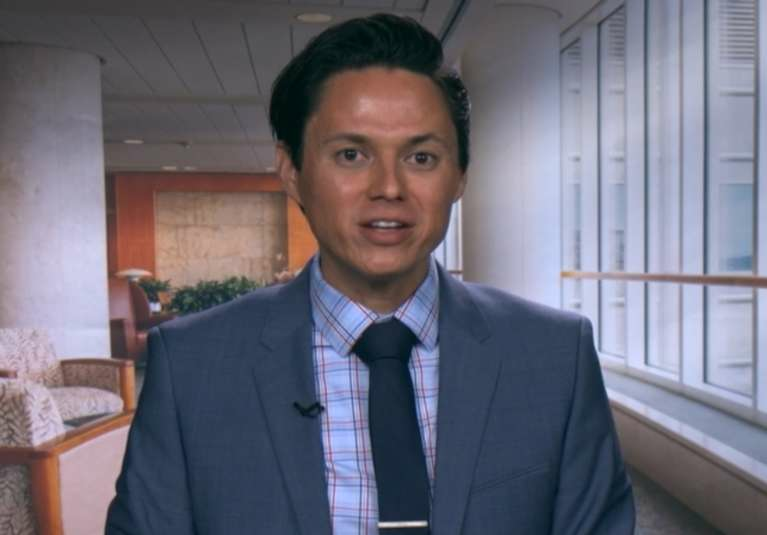 Cesar A. Gonzalez, Ph.D., L.P., a psychologist at Mayo Clinic, discusses working with patients who are transgender, gender dysphoric or gender nonconforming. 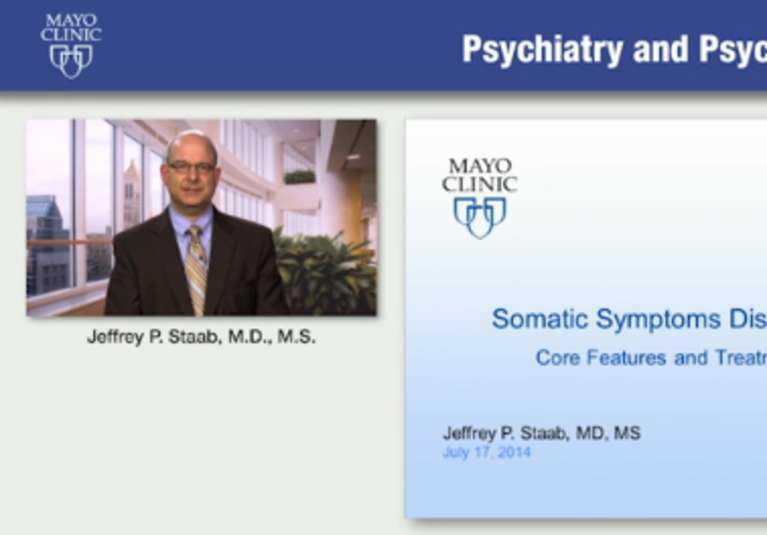 Jeffrey P. Staab, M.D., Mayo Clinic psychiatrist, discusses core features and treatment strategies of somatic symptom disorders. 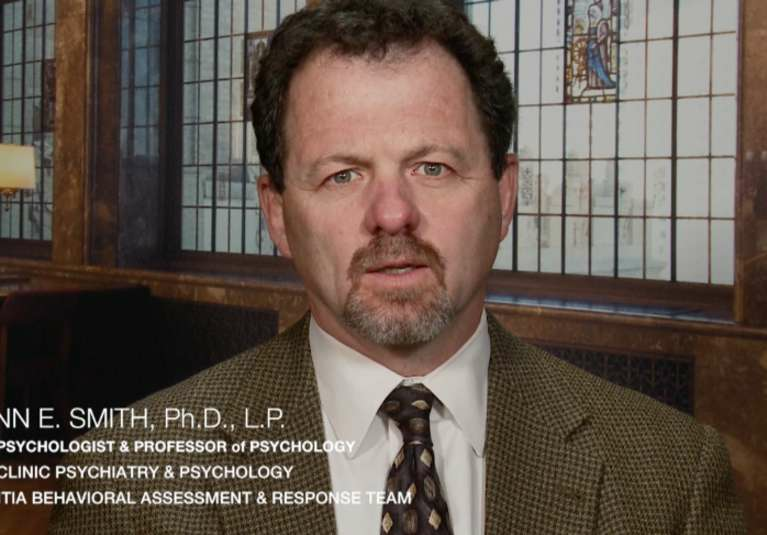 Glenn E. Smith, Ph.D., neuropsychologist and professor of psychology, Mayo Clinic, discusses his work with the Dementia Behavioral Assessment and Response Team. For the past 15 years, a team of professionals has been working with families, plus local and statewide care centers to help people with dementia who have a behavioral challenge. 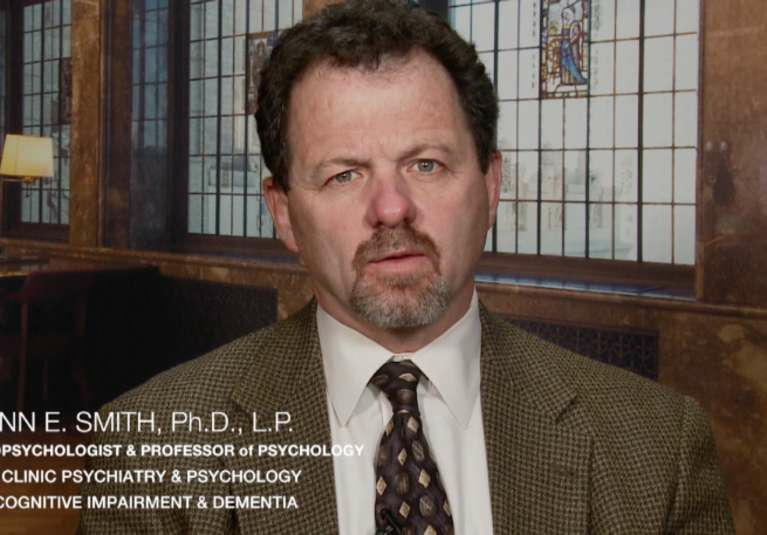 Mayo neuropsychologist and professor of psychology Glenn E. Smith, Ph.D., discusses his work identifying conditions that may eventually turn into dementia.